Justice League, Call Me By Your Name, and more! (SPOT.ph) A lot of folks from Manila are probably thrilled that November is filled with long weekends and sudden holidays. For movie fans, this just means more time to see new titles in the nearest cinema! This month is chockful of gems, from Cinema One Originals entries to the DC heroes mash-up you've been dying to see. Pencil in these release dates, Spotters! Actress Alessandra De Rossi has ventured into scriptwriting with a new drama. Here, she co-stars alongside newcomer Ivan Padilla as a couple who have been together for 12 years. Despite a happy beginning, the years begin to take a toll on their relationship and their swoon-worthy romance unravels. Who says Halloween isn't over? The eighth installment of the immensely popular Saw franchise picks up a decade after the death of the Jigsaw killer. When an elusive killer rounds up victims to play sadistic games with them, police discover a connection linking his crimes to those of Jigsaw's 10 years ago. Dan Villegas ventures out of rom-coms to tell the story of a May-December romance between Alex (Agot Isidro, Jojit Lorenzo) and Cris (Anna Luna, Sandino Martin). The story is told in two different points of view by switching the genders of both characters. The film is based on a musical staged by PETA, and is part of the upcoming Cinema One Originals film festival. Also an entry to Cinema One Originals, Richard Somes' four-part film is a twisted look at Philippine history as you know it. 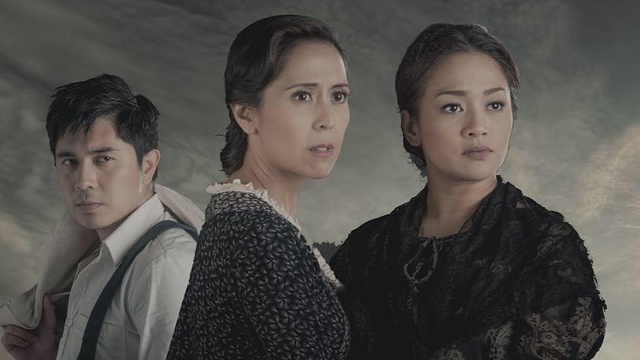 Think a disillusioned and suicidal Jose Rizal, a cross-dressing Andres Bonifacio, and a former Katipunero who joins the American troops to save himself. The cast includes Joem Bascon, Nathalie Hart, and Alex Medina. Dagitab director Giancarlo Abrahan joins Cinema One Originals to tell a story about Alejandra, an 80-year-old woman who decides she'd rather be an old maid. Her children, played by Eula Valdez and Shamaine Buencamino, try to forbid her from separating from her husband (Noel Trinidad). The highly anticipated superhero smash from DC Comics is finally here! 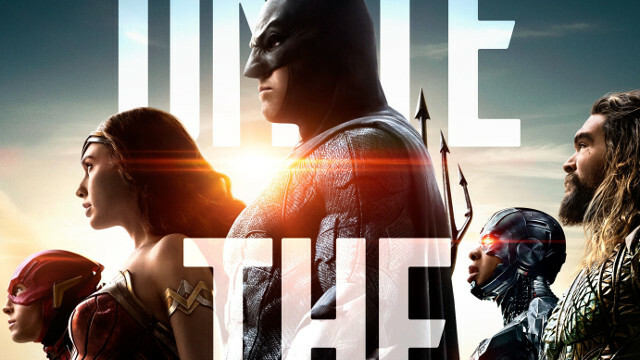 Batman (Ben Affleck) and Wonder Woman (Gal Gadot) must recruit a set of superheroes (Ezra Miller, Jason Momoa, and Ray Fisher) to help them save the world from utter destruction. The film is primarily helmed by Zack Snyder with Joss Whedon. This critically acclaimed LGBTQ+ drama is joining Cinema One Originals for several screenings this month! The drama stars Timothee Chalamet as 17-year-old Elio, whose summer is turned upside down with the arrival of the handsome Oliver (Armie Hammer), who interns for the former's father. Disney-Pixar fans, rejoice! A new and original animated film is headed your way, and this time, it's set in Mexico. Based on the Mexican holiday Dia de Muertos, it revolves around Miguel, a 12-year-old who, against his parents' wishes, dreams of becoming a musician. Desperate to prove his talent, he finds himself in the colorful Land of the Dead. The film features the voice talents of Gael Garcia Bernal, Benjamin Bratt, and Anthony Gonzalez. Famed crime-mystery novelist Agatha Christie's immensely popular work comes to new life in this star-studded adaptation by Kenneth Branagh. The director stars as detective Hercule Poirot, who must race against time to solve a murder aboard a train where every passenger is a suspect. The cast includes Johnny Depp, Judi Dench, Daisy Ridley, Michelle Pfeiffer, Penelope Cruz, Willem Dafoe, and more. Based the heartwarming New York Times bestseller, Wonder is the inspiring story of August Pullman, a young boy with a congenital facial deformity who attends elementary school for the first time. Directed by Stephen Chbosky, the film stars Jacob Tremblay, Julia Roberts, and Owen Wilson.